The Westergasfabriek is a former gasworks in Amsterdam West. 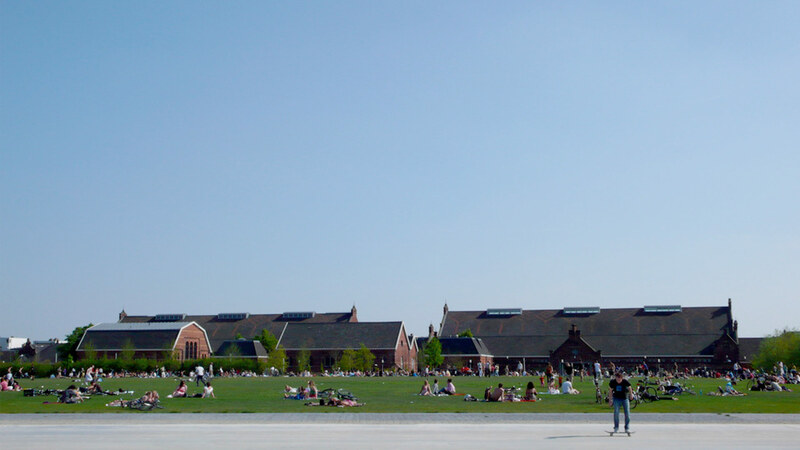 Early in the 21st century, the soil was cleaned and the area was added to the existing Westerpark to form a large city park. 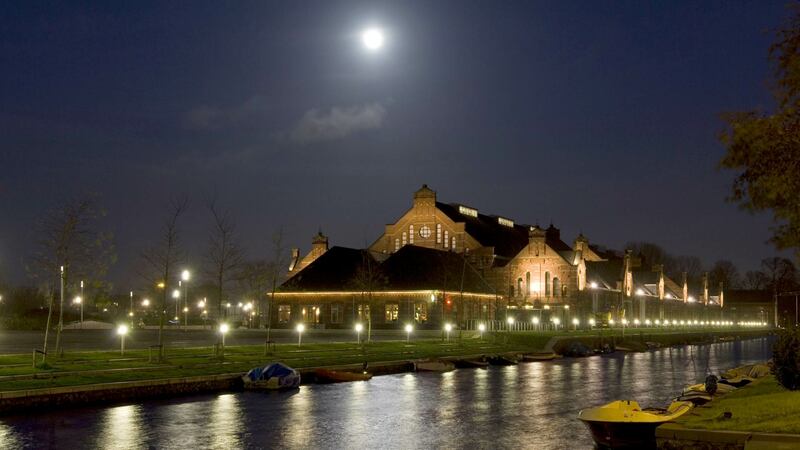 The remaining historical buildings have been renovated and the site has become a cultural and recreational area called Culture Park Westergasfabriek. 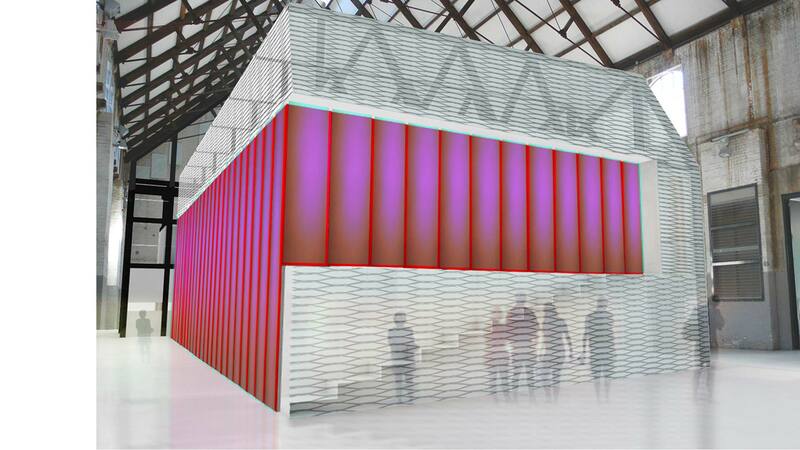 Its different parts are rented out for temporary events such as festivals, product launches, theatre and exhibitions. In Zuiveringshal East, where cyanide and other toxic substances were stored, MC (Master of Ceremony) Cosmic Foundation, built a new theatre. MC is a production house and theatre for new story tellers. It’s a home for artists and writers who have an attachment to the new city: cosmopolitan, dynamic and limitless. 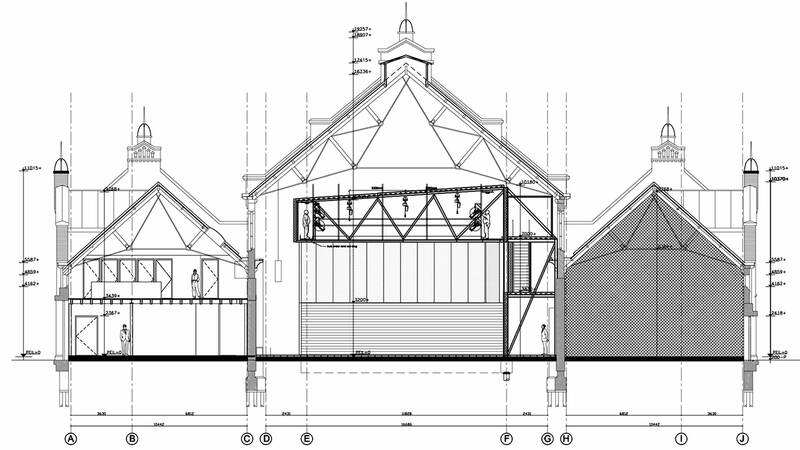 The plan was for the new theater to be housed in three historic, industrial halls. 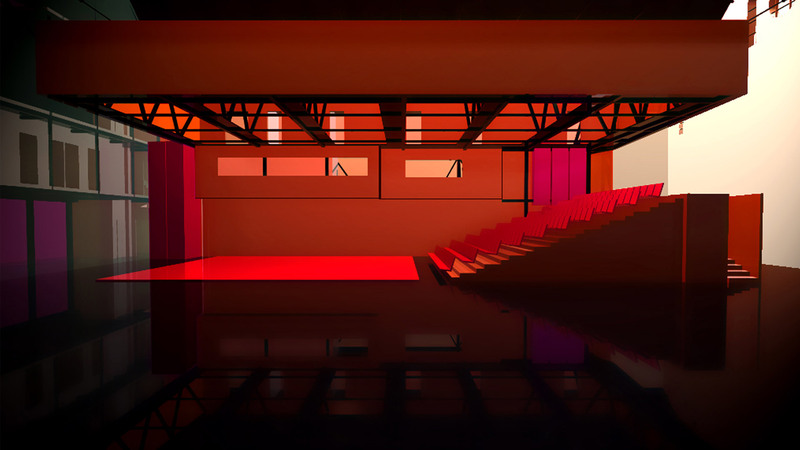 The assignment was to make a transparent theatre which would maintain the feel of its industrial heritage and of the scale of the halls – the theatre of architecture. 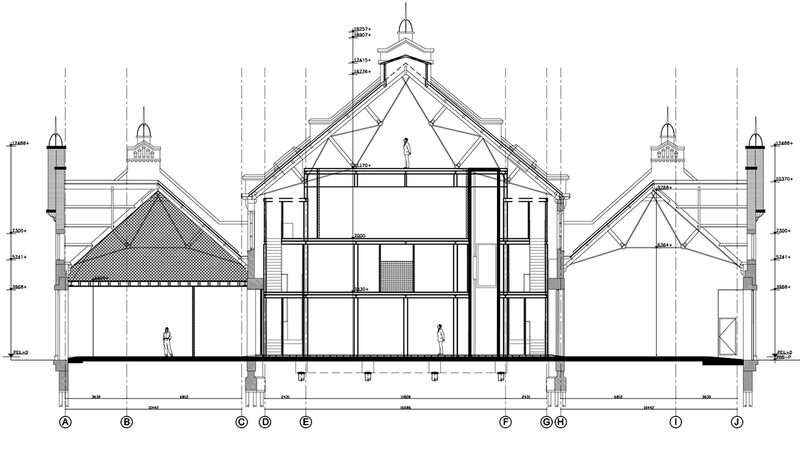 The design implements the wish of the clients to offer visitors a transparent look behind-the-scenes. 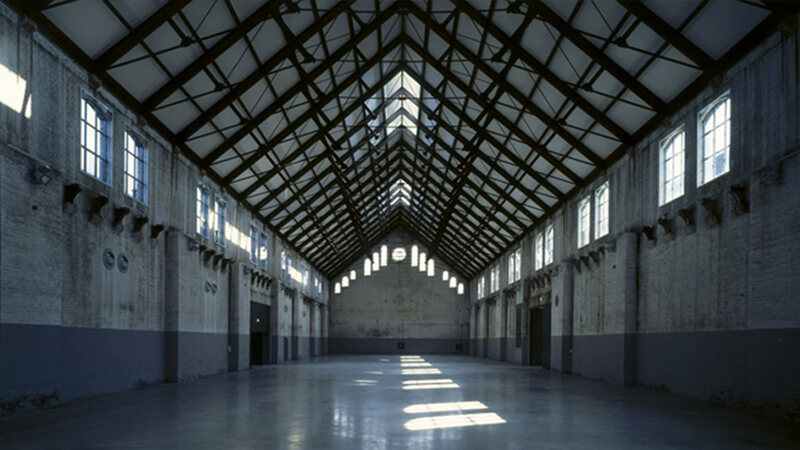 The programme offers a shadow-play in the hall like a semi-transparent, functional island in an industrial hall. 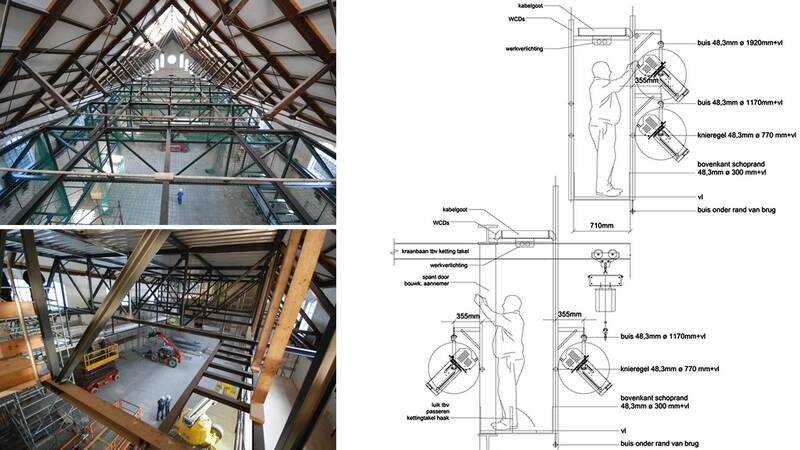 The operation involves two structural elements that enter into a dialogue with the existing skeletal structure. 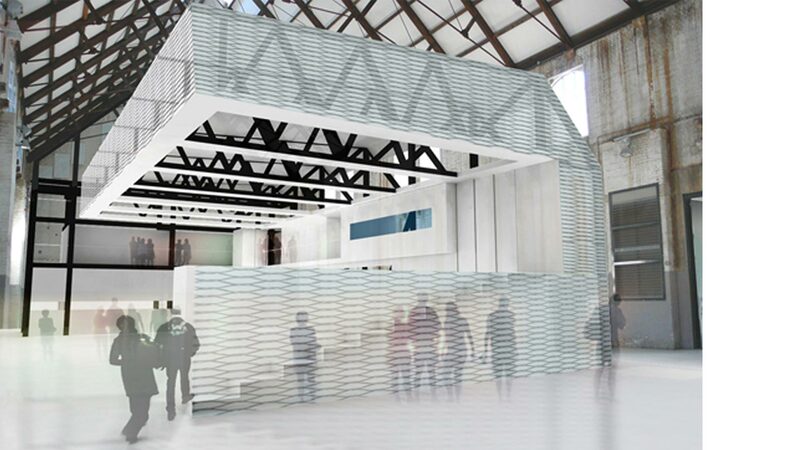 The shape and location of the newly-designed construction creates flexibility for different uses and experiences of space. The main hall, which can also be used for dance parties and events, is the heart of the area. 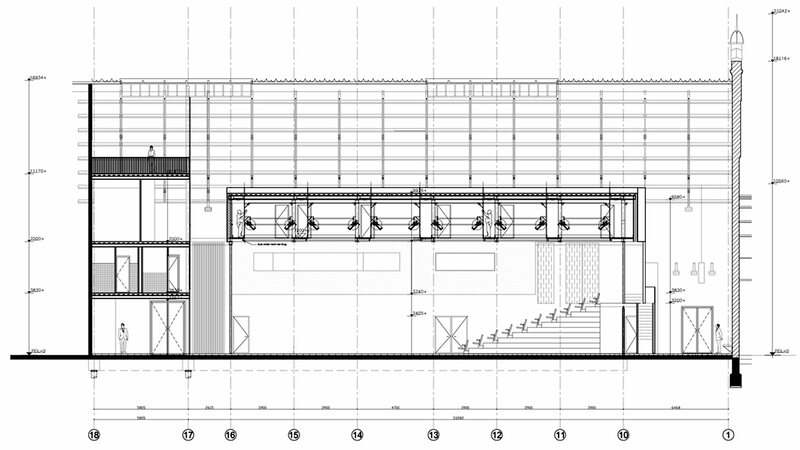 The backstage installation space and the dressing rooms form the second structural element in space. The decoration and appearance of the new volume should be light and must comply with all regulations. 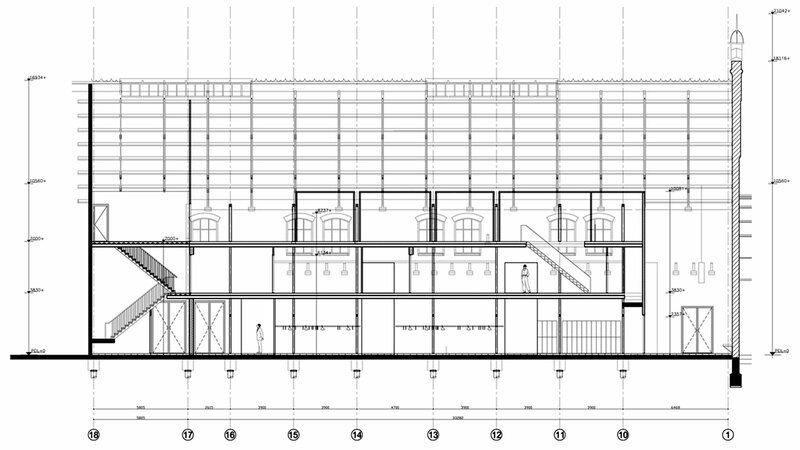 Meeting all the demands concerning sound among the different spaces within the building and from the theater to its direct environment is, of course, a top priority. The wall-treatment of the main hall serves as a sound buffer. 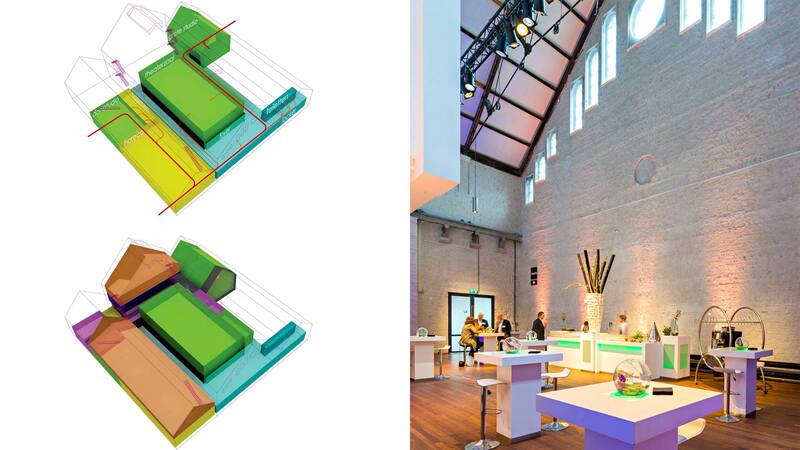 Placed around the main hall are features that reduce noise and at the same time give it more shape as an event space.